In the city of Boulder, bikes are the preferred mode of transportation, which is why it doesn’t come as much of a surprise that it’s also home base to one of the largest pre-owned bike shops in the world. Since before officially opening The Pro’s Closet in 2006, founder and CEO Nick Martin has been helping people see the value of pre-owned bikes. The self-proclaimed minimalist and former professional mountain biker began helping other pros on the circuit sell their unused bikes and gear, and that concept of finding new purpose for older gear turned into a passion, which turned into a successful online business. “The idea was to really tap into the philosophy that everything around us has value and you can extend the lifecycle of things that already exist,” said Martin. From the TPC headquarters in Boulder, Martin and his team sells roughly 70 percent of an always-changing inventory through the company’s website, with the other 30 percent being sold through eBay. 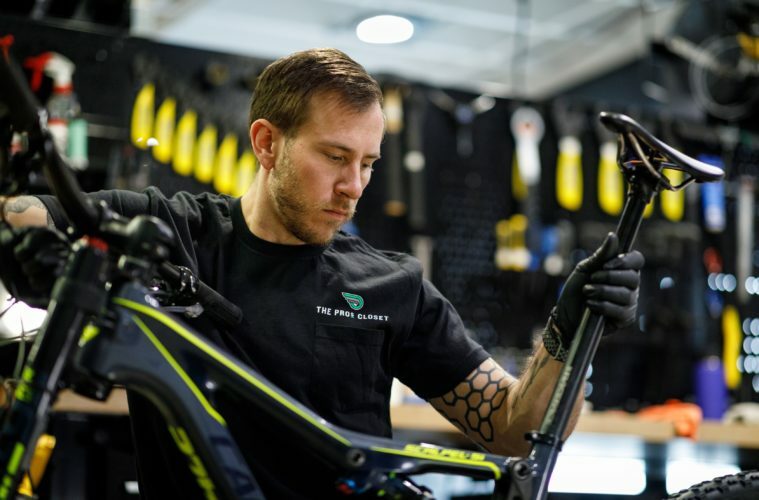 While The Pro’s Closet (TPC) sells through about 20 percent of their inventory each week, business is gearing up to get even crazier with the introduction of a Certified Pre-Owned Program (CPO) which is aimed to shake up the bike buying process all together. The newly launched CPO program has a life cycle of 18 months during which bikes purchased through the program are given a 141 point inspection, shipped nearly fully assembled to the buyer and include a 30-day no-questions-asked buyback guarantee. Customers that purchase a CPO bike — which range from gravel grinders, to mountain bikes, to road bikes — can log into a personal account to keep tabs on the estimated value of their CPO bike over the course of 18 months, making it easier to take advantage of the guaranteed buy back offer and pull the trigger to trade in or trade up a current set of wheels — much like trading in a car. According to Martin, the CPO program is aimed to eliminate shady Craigslist deals and make buying and selling used bikes an easier, more reliable and less daunting process. Out of a nearly 300-bike inventory, Martin estimates that 150 of those bikes are part of the Certified Pre-Owned Program, and the inventory is changing daily.